Formula 1 technical director Ross Brawn says the sport cannot afford to allow the current trend of three teams - Mercedes, Ferrari and Red Bull – locking out the podium positions in races with near-constant regularity to continue as Liberty Media plots a more competitive future on the grid. Over the past two seasons – and 42 races – of similar aerodynamic regulations only two grands prix have featured teams from outside the 'big three' on the podium – the Azerbaijan GP of 2017 and 2018. 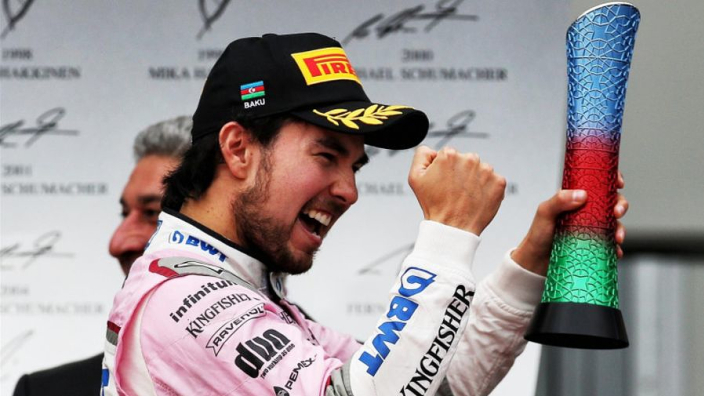 Lance Stroll drove a Williams to third in Baku last year, while Sergio Perez did likewise for Force India 12 months on – both races featured at least three of the top teams' drivers either retiring or encountering difficulties. It is hoped that revamped aero rules for 2019 will enable closer racing, but it is uncertain if it will bring F1's oft coined 'B-Class' closer to the frontrunners – an issue Brawn says is deeply troubling. "As was the case in 2017, only once and significantly, on a very unusual street circuit like Baku, did a driver from one of those seven teams make it to the podium," said Brawn. "Two podiums from a total of 123 [across the two seasons] is unacceptable, especially when it comes with an ever increasing technical and financial divide. "It's a problem we are tackling together with the FIA and the teams, because the future of Formula 1 depends on it. "There are various solutions on the table and we must all accept that we can't go on like this for too much longer." Brawn added of the 'B-Class' runners: "Their battle was certainly thrilling, however, it's hard for the fans to truly get excited about a battle for eighth place. "Having said that, congratulations to Renault for finishing fourth, confirming the progress it is making and to Haas, as finishing fifth in only your third year in the sport is a great achievement."